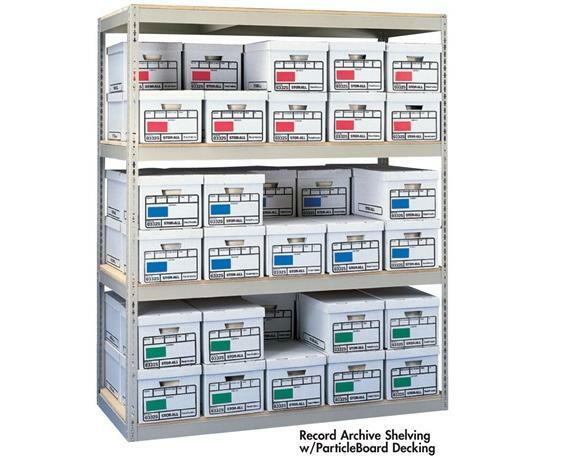 Rack is designed to hold record storage boxes for archival purposes. May be ordered with particle board decking or without decking to allow you to purchase it locally. 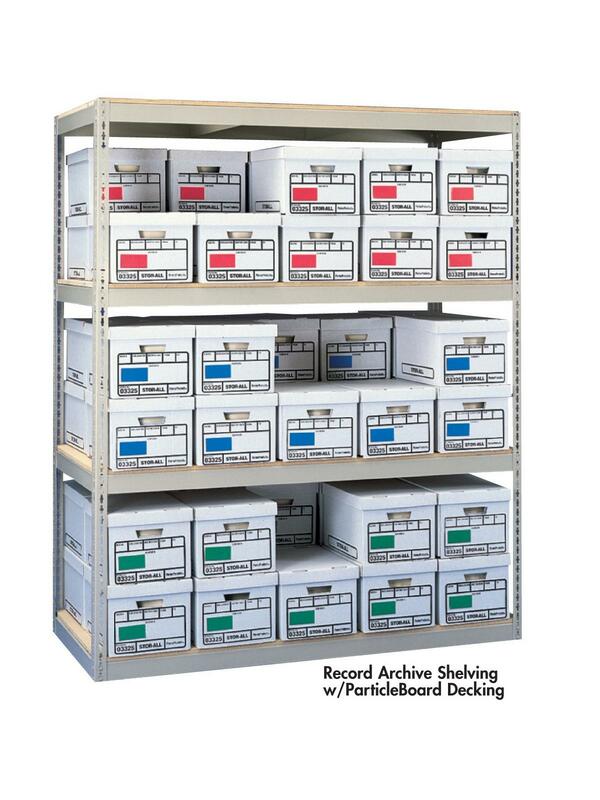 Fast and easy retrieval of records. Sand or Medium Gray - please specify color in comments section when ordering. FOB Shipping Point. 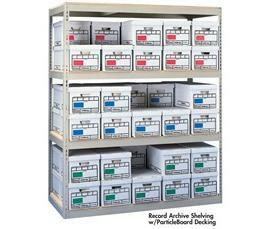 Items HZA422460-3D, HZA422484-4D, HZA692460-3D, HZA692484-4D - for 24"D boxes. 69 x 24 x 60"69 24 60"